Low academic grades do not always mean that your child has learning difficulties. 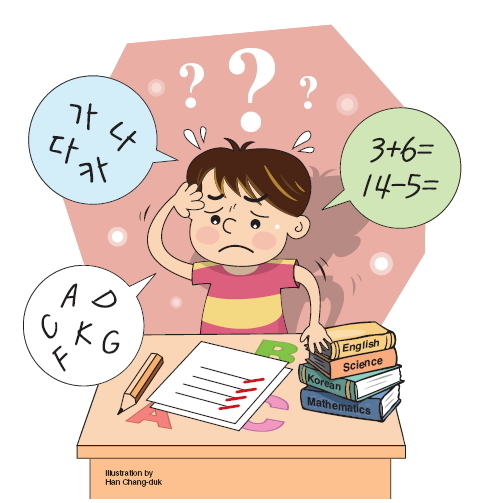 Children with lower intellectual abilities or emotional stability may have low academic grades. Some children may even hare mild mental disorders. Learning disorders, or learning disabilities, are likely in children who follow academic classes well, but cannot differentiate between left and right, or who cannot read numbers or days of the week from back to front. John, who is now an elementary student, could only say “Mom” or “Dad” when he was 1 year old. He only started talking when he was 4, and only understands new words after they are repeated several times. He found it difficult to understand abstract words. He started learning to write Korean in preschool, but he stopped within a few months because he lost interest. He ended up going to school without knowing how to read or write Korean. He found it difficult to read Korean books fluently. On the other hand, he found numerical calculations interesting, but could not understand mathematic application questions. This is a case of a child who was diagnosed with reading impairment by the hospital when he was found to have a learning development delay. This is a common problem found in school-aged children. Many children or their parents are blamed for being “lazy” for not showing enough effort at school. However, there are many causes for such problems. Blindly pushing these children to learn can cause significant stress, which can then lead to secondary psychological problems. For children with learning development delays, the cause must be diagnosed accurately to ensure appropriate treatment and education. Children who have learning development delay have limited development of cognitive functions and have lower-than-average IQ. School-aged children undergo KEDI-WISC intellectual testing. The mean IQ is around 85-110, borderline is 70-85 and those lower than 70 are said to have intellectual impairment. Learning disorders refer to low reading, writing or numerical abilities or achievements significantly lower than those expected for the age, intellectual ability and grade. The causes include functional disability of the specific part of the brain that deals with reading, writing and adding, such as the lateral brain, genetic factors, cognition and perception problems, or language development problems. These learning disorders are found in 5-10 percent of school-aged children, and are three times more common in boys than in girls. The majority of learning disorders includes not only learning problems but also ADHD, depression, anxiety and other psychiatric problems and can also surface in language development and sporting abilities. The examples of such learning disorders include inaccurate and slow reading, problems with understanding mathematical language, concepts and equations, difficulties understanding and solving application problems, spelling problems, bad handwriting and poor sentence structuring and writing. There can also be other causes for low learning performance in those without specific learning difficulties or intellectual problems. These include behavioral problems such as ADHD, anxiety and depression, family problems, relationship problems with parents and insufficient learning opportunities. To recognize learning difficulties early, the child needs to be assessed for delayed movement ― language developments, cognitive function and concept formation abilities. One example of treatment includes direct educational intervention by correcting the learning difficulties. This includes repeated education and practice of individualized programs that target a child’s weak areas such as reading, writing and mathematics. Focusing on weak areas blindly is not effective, so it is important to provide a tailored education plan for each child. Secondly, it is important to train cognitive and perceptive skills, which strengthens weak areas of auditory, visual and other perceptive pathways. The third treatment is to address other conditions. Learning difficulties are often present with other psychological problems such as ADHD. For some children, these issues can then lead to social problems even after the learning difficulties are addressed, and then can further aggravate such problems. Pharmacological treatment can sometimes be added as a further measure. 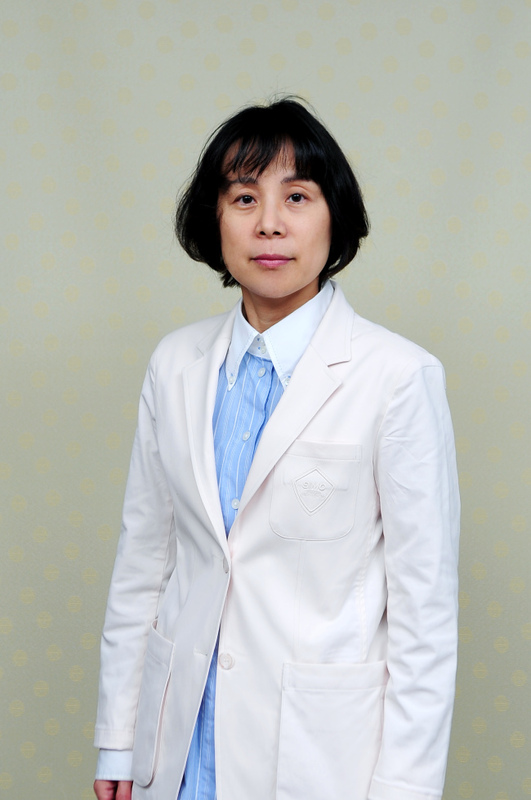 The author is a doctor in the Department of Neuropsychiatry at Samsung Medical Center and a professor at Sungkyunkwan University School of Medicine. ― Ed.